NESCA News & Notes: Is Your Child Ungifted? 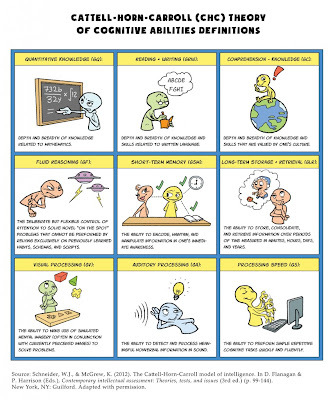 From the Scientific American Blog "Beautiful Minds"
Worried that your own child is ungifted? Take a cue from Carell and relax. Thankfully for you and your child, there are many conceptualizations of giftedness– and therefore many ways to not be ungifted. Where should we start? How about with the most traditional conceptualization of them all: high IQ. Does your child score above 130 on an IQ test? If so, congratulations! We can probably stop right here. Historically, giftedness has been defined as top 2-3% on an IQ test. So if your child scores above the arbitrary IQ threshold set by the school district, you should have no trouble convincing your school that your child isn’t ungifted. What’s that, your child obtained an IQ score of 129 and missed the cut-off by a single point? Ouch! Well, I admit that’s unfortunate, but we’re still far from eliminating the possibility that your child is ungifted. It’s quite possible that you child’s true IQ score is really above the arbitrary IQ threshold set by your school district. There are many reasons why your child may not have reached 130 on the day he or she was tested. One possible cause is measurement error. Perhaps your child temporarily zoned out or became distracted on a few test items. But the culprit may not have been measurement error. Genuine intellectual brain maturation and growth is possible. Neural connectivity associated with intellectual functioning is particularly receptive to enriching intellectual experiences in childhood and early adolescence, but neural wiring is still receptive to training and experience throughout the lifespan. With greater intellectual enrichment and motivation, it’s quite possible that your child’s IQ score will reach that arbitrary gifted cut-off if tested again in the future. “Please give my child a comprehensive battery of IQ and achievement tests adopting the cross-battery approach to assess the various specific cognitive abilities that are part of the Cattell-Horn-Carroll (CHC) Theory of Cognitive Abilities”. As long as the school psychologist assesses these abilities by adopting the intelligent testing approach– elevating your child above the numbers and seeing his or her test results in context– then the psychologist can use that information to design a specific acceleration program that will address your child’s unique needs. Still ungifted? OK, time to roll up our sleeves and really broaden our focus. 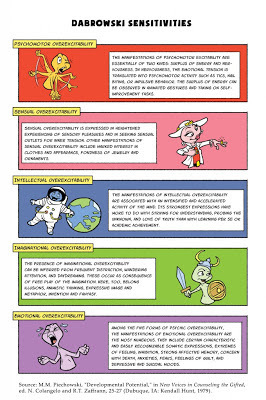 According to the federal definition, gifted and talented children are those who display high achievement and/or potential ability in general intellectual ability, specific academic aptitude, creative or productive thinking, leadership ability, or visual and performing arts, and who require services or activities that are not ordinarily provided by the school in order to fully develop those abilities. This leaves a lot of latitude. Maybe your child struggles in the mainstream classroom, but writes wildly imaginative fiction novels in his or her spare time. Or maybe your child aces his or her algebra equations, but has difficulty memorizing vocabulary words. Perhaps your child prefers performing, whether it be acting, singing, or playing a musical instrument, but zones out when put in a passive classroom situation. Or your child is president of the student body and has instigated a massive revolt among the students. While unappreciated by the administration, your child’s actions reveal extraordinary leadership skills. According to the federal definition, any of those behaviors demonstrate giftedness. Still no good? OK, don’t panic yet. Theorists Howard Gardner and Robert Sternberg further expanded our concept of giftedness. Sure, Gardner proposes academic (verbal-linguistic, logical-mathematical, spatial) and musical abilities, which are already part of the Federal definition. But he also offers you some extra gifted goodies such as social intelligence (ability interacting with others and/or knowing yourself), bodily-kinesthetic intelligence (facility with bodily movement), and naturalistic intelligence (facility relating to nature). Or take Sternberg’s theory, in which your child can not only be analytically, creatively, or practically gifted (i.e., exhibiting good common sense), but can also be gifted at wisdom if he or she does a good job balancing personal needs with the interest of others, all the while taking the broader societal context into consideration. What about all that— is your child finally gifted yet? No? Don’t despair! Maybe your child doesn’t display high ability in any of the areas I just mentioned yet, but exhibits extreme passion and dedication. 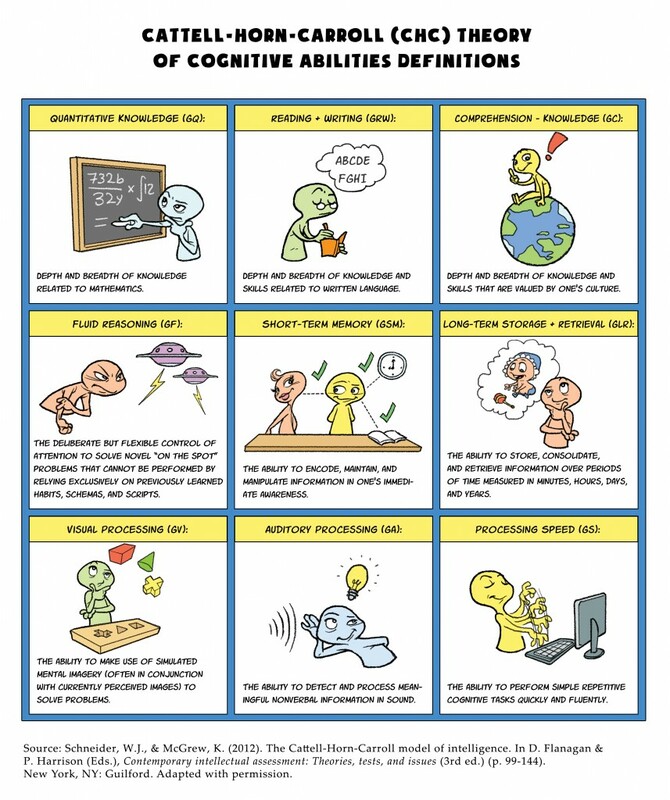 After researching eminent creators across a variety of fields, Joseph Renzulli concluded that those who achieve greatness in any field tend to not only display high ability in a particular domain and high levels of creative-productive giftedness (as opposed to “schoolhouse giftedness”), but they also tend to have extremely high task commitment. According to Renzulli’s model of giftedness, a gifted child can compensate for lower levels of ability with higher levels of creative-productive giftedness and task commitment. In other words, passion and task commitment are gifts just as much as cognitive ability and creativity. What’s that— how do you know if your child has heightened intensity and inner experiences that are qualitatively different from the rest of the children who live on your street? Great question! I’m afraid I don’t have an easy answer to that one. But this much I can say: a large portion of the gifted community equate intensity with “overexcitability,” a term the Polish psychologist Kazimierz Dabrowski used to describe an overly sensitive nervous system. 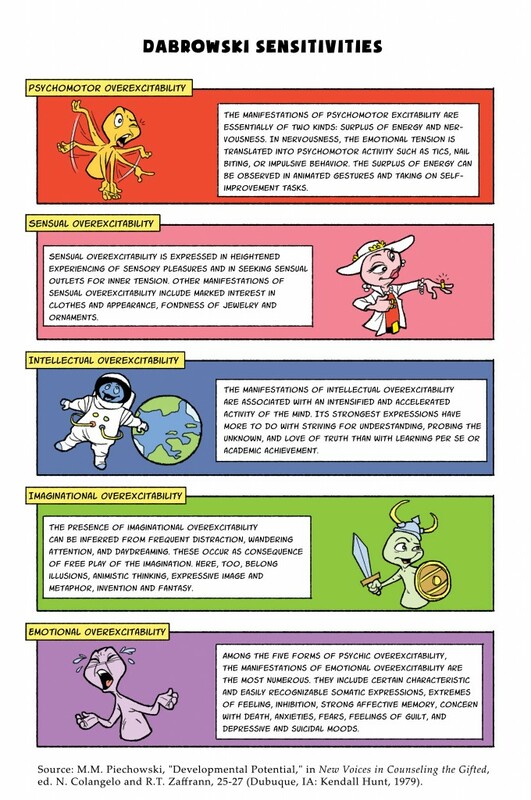 In particular, Dabrowski proposed five domains in which a person can display these overexcitabilities: psychomotor, sensual, imaginational, intellectual, and emotional. To many in the gifted community, these overexcitabilities are the defining characteristics of giftedness. No? None? At this point, I’ve got to ask: Are you sure your child is actually human?Perhaps you accidently picked him up from the zoo instead of the nursery? I won’t judge, it happens. Look, if it’s really true that your child is perfectly average in every single human characteristic represented in all of the definitions of giftedness I presented to you, then I’m afraid there’s only one diagnosis left: your child is truly extraordinary! Just ungifted. For a more in depth discussion of different conceptualizations of giftedness, and the development of a wide variety of personal characteristics, see my new book Ungifted: Intelligence Redefined. ** While standardized tests of achievement are also privileged measures of giftedness, they are for the most part IQ tests in disguise. Scott Barry Kaufman is adjunct assistant professor of psychology at New York University, where he teaches courses on cognitive psychology and human intelligence. He is author of Ungifted: Intelligence Redefined, editor of The Complexity of Greatness: Beyond Talent or Practice, and co-founder of The Creativity Post. Follow on Twitter@sbkaufman.